Colma, a quiet town in California is home to 1,700 living residents and over 1.5 million dead ones. Most of the town’s forever-silent population are people who lived and died in San Francisco. In the year 1900, San Francisco was a city crowded by the dead. During the gold rush, gold miners, merchants and immigrants from all around the world flocked here looking for a better life, bringing with them disease. Soon enough, the death toll rose and the 27 cemeteries filled to the brink of overflowing. They dead bodies were considered a health hazard, but most importantly, they were taking up a large chunk of prime real-estate. 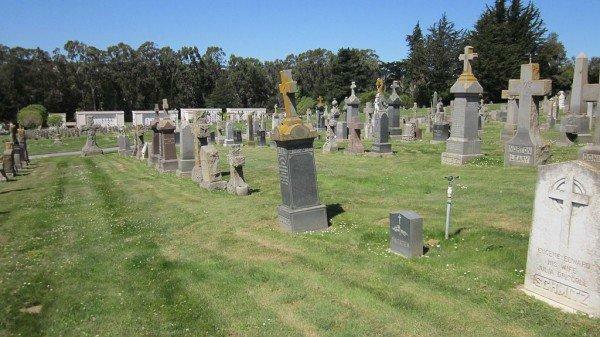 So, in 1902, the City of San Francisco banned further burials in the area and forced larger cemeteries like Laurel Hill and Calvary Cemetry to move their dead outside the city. 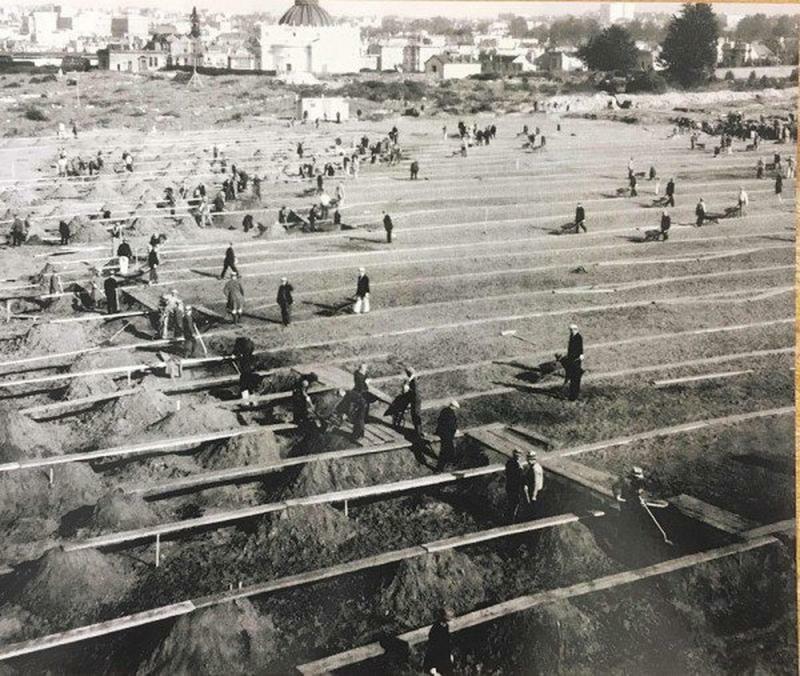 The fight to keep the dead in their original resting places lasted a few decades, but by 1942, only two cemeteries remained in San Francisco – The San Francisco National Cemetery and the Mission Dolores Cemetery. They are still around today, but neither is accepting new burials. 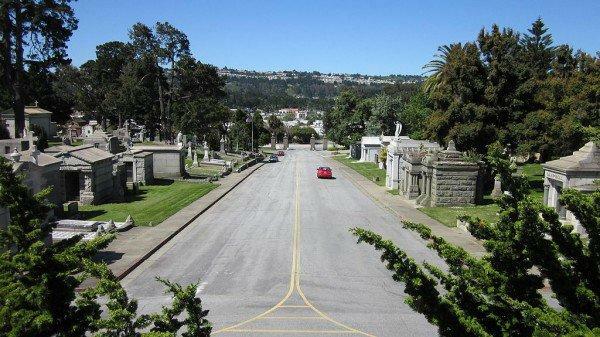 Throughout its entire history, Colma has never had more living residents than dead. Today, it is home to around 1,800 living people and over 1.5 million dead ones in one of its 17 massive cemeteries, fondly referred to by the locals as parks. Colma still serves as the burial ground of San Francisco so the number of “subterranean residents” is still growing at a rapid pace. It is estimated that around 75 dead bodies arrive in Colma every single day.